← Which role is in charge of the reunion, or does it matter? Why are AP’s waiting to tell their child they’re adopted? More and more adoptive parents are openly admitting that they haven’t told their child they are adopted and intend to wait to tell till the child is old enough to understand. I know I’ve brought this up many times over the years, but this comment left under an article written by an adoptee about the hard truths in adoption (loss, abandonment, grief) sparked this post. This is so true. After the struggles we have had, we were ready for adopting a child because of the numerous losses. We are lucky that we got our daughter straight from the hospital when she was 11 days old. We plan on telling her she was adopted when she is older and will be able to understand the meaning. It took us 21 long and grueling months but we now have the child we always wanted. It finally feels complete after seeing our names on our daughter’s birth cerificate (even though we had to send it back as our names were misspelled when our daughter’s was spelled correctly). The comment above was posted on an open Adoption Page on Facebook. Which also means that their friends probably saw it on their Newsfeed, so any who went to that post is now in the unenviable position of keeping that secret from the child. By not telling your child you are withholding her truth, so being adopted can just be her norm and something she’s always known, if you ever get to that day you’ll tell, there are any number of negative reactions that she may experience, and to me, no positives. None. But lets say that mythical day does come, what age will she understand, when she’s 8, 13, the day she moves out, her wedding day, the day she says she’s pregnant and the doctor wants to know what her mom’s pregnancy was like? Do you honestly think any of those ages is better? That sitting her down for the big reveal (or confession) is better than always having known? In regards to medical history like the question posed above, when I got sick if I hadn’t known I was adopted, I would have given mom and dad’s family medical histories (and yes, I can tell it by rote) and my doctors would have been pointed in the wrong direction. At least being able to say I didn’t know, that I was adopted, didn’t misdirect them, bias their field of enquiry looking into a family health history that was no relation to me. That alone should be reason enough to tell because everyone gets sick and the first questions asked is family health history. And how will you respond if your child gets sick and the doctor asks in front of your child? Will you lie and give your own to cover not telling? For those who think waiting is the way to do it because the child can’t understand what adoption is, that’s one of the points of telling early, it’s just a word that is part of your baby’s growing vocabulary that is used by mom and dad about you and them. Just like grandma is just a word used by mom and dad about that other person who comes to visit, yet over time you learn what grandma means to you, your mom, your dad. If you wait to use the terms adopted, adoption, what other terms won’t you use because your child isn’t old enough to understand? If you can’t understand that waiting till they are old enough to understand is faulty thinking, perhaps it’s your own lack of comfort with adoption, your child being adopted, and if so, you need to do your own work on that, and not visit it on your child. Tell your child they are adopted before they are even old enough to have an inkling of what you are saying, and tell them often, it allows you time to get comfortable with the words so by the time your child starts asking questions, you answer in a way that tells them it’s no big deal. Waiting is not the answer. My adoptive mother told me I was adopted from early infancy. She told me she would lay me on the changing table and say, “you are adopted”, and “I am your mother” to me over and over again, while I stared at her with wide open blue eyes. This seems chilling to me. I don’t like that image at all. I think that was when I learned she was a liar! According to A-mom she was instructed to tell me early by the agency. She wanted to do everything by the book, because she was always very afraid of losing me. I guess it was better to have known all along, but sometimes I wish I could have had a time of innocence. Before I knew that mothers could, and did give away their children. There is no good time to tell, because the news is so bad. That quote is very self-centric at a time that calls for parents to be child-centric. It seems like the new mom isn’t even aware that she has lingering issues from what she’s been through. The happy-ever-after is as mythical as a unicorn (I shouldn’t say that. Some adoptive families may experience it). You and me both. You have no idea how hard it is to see choices being made that for majority of LDA’s state was the wrong way. I’ve only talked to one adoptee who was pushing 70 when she and her twin found out dealing with their parents estate that they were adopted – she wished they’d never found out – she is the anomaly – and quite likely their parents were going to tell when the girls were old enough to understand. Ironic that the parent’s name on the child’s birth cert was misspelled. All part of their “struggle”. Hopefully they will tell the child before too many “long and grueling months” pass. Can’t remember ever not knowing I was adopted. It wasn’t viewed as a negative, or positive, just what was…who I am. Beautiful writing by Anne Heffron. Can relate..I’m a master at fitting in ! People still lie by omission that their child was adopted? Seriously? 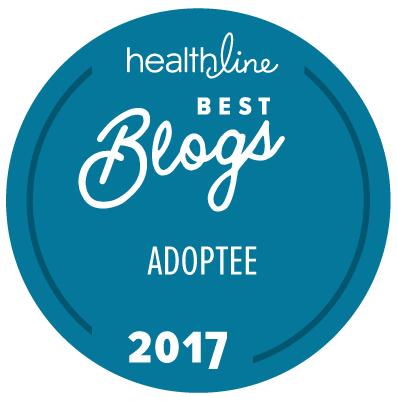 From what I can tell based on AP answers, many agencies don’t educate adoptive parents, that’s part of the homestudy, who those homestudy providers are – who knows, and who knows how little they are required to know about adoption. I’ve been saying for years that I haven’t heard anyone in the UK having issues with their system of keeping the birth certificate intact and using an adoption certificate. Canada changes the birth certificate too. I’m an AP, and I asked how we could keep the OBC intact. I talked to a lawyer, the adoption agency, and the judge finalizing our adoption. They all said there isn’t another way, and they also thought i was a bit crazy for having such an issue with this. I didn’t want to change the OBC, and I didn’t want our names on a BC because, um, hello, I didn’t give BIRTH- it’s not factual! It felt fraudulent and was very upsetting for me. There is no other course in the US that I can find besides continuing to lobby against this practice and working on unsealing the OBC records. Many people mention different avenues like having the child be a ward or something similar, but I feel that would devalue my daughter in the our family and doesn’t give her equal status with her sister (our biological child). It “others” her in a different way. All together, it’s very frustrating. I just wanted the OBC left alone, and then to adopt her via court order paperwork. I don’t know why that wouldn’t be enough- why do we need to alter the OBC to complete an adoption??? My daughter told me she understood what adoption meant at age 4! She was told the story of her unknown family in China, that she was taken from them because of the one child policy, often. We would go out the night before the moon festival and ask the moon to tell her family she was safe, thriving and hoped to meet them someday. I admit it was easier because they are live on another continent, but her genetics are probably 80% of who she is today. Tell early, tell often. There is never an excuse to lie to your precious child. A lie of omission is still a lie. In my experience APs lie due to insecurity and fear. It’s disrespectful of the child and his right to know the truth of his beginnings. Especially in 2017 when so much information is available. We had regular visits until A asked “Why do you visit me?” … when R said “Because we like you” A responded with “No really? Why?” … he was five years old and his APs wouldn’t tell him the truth. I know A is smart enough to understand adoption. His AP don’t think he is and it’s not my place to explain it to him. Oh Heather, I’m sorry, at least he’ll know you tried. We don’t have to fully understand what it means to be adopted before we’re told we are adoptees. I can’t remember not knowing that I was adopted. Truth from the start is the best way to go. I’m sad for all the people out there who were conceived with donor eggs or sperm and will never be told. I think you might be right, Tao. The donor industry normalized the lie.